The final tranche of photos from a day of scuffing around Kempton Park. 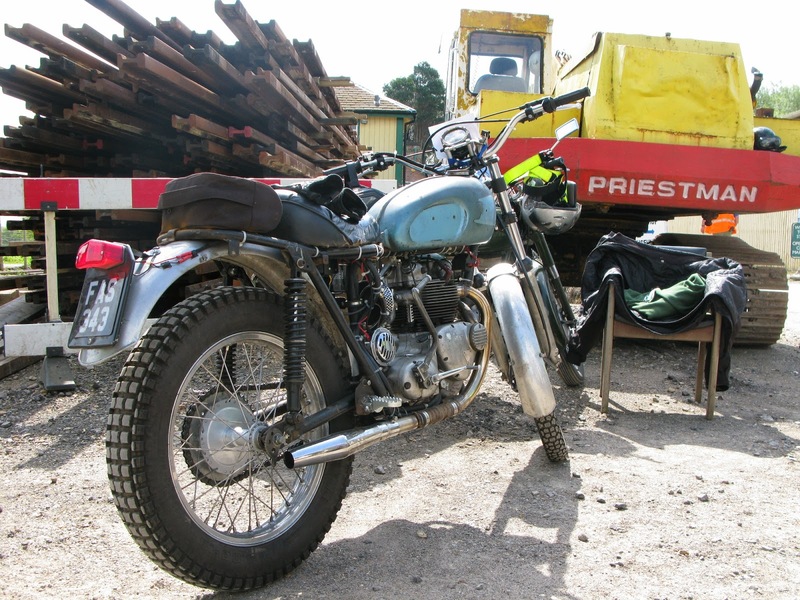 This time some punters bikes from the bike park and a few more autojumble gems. 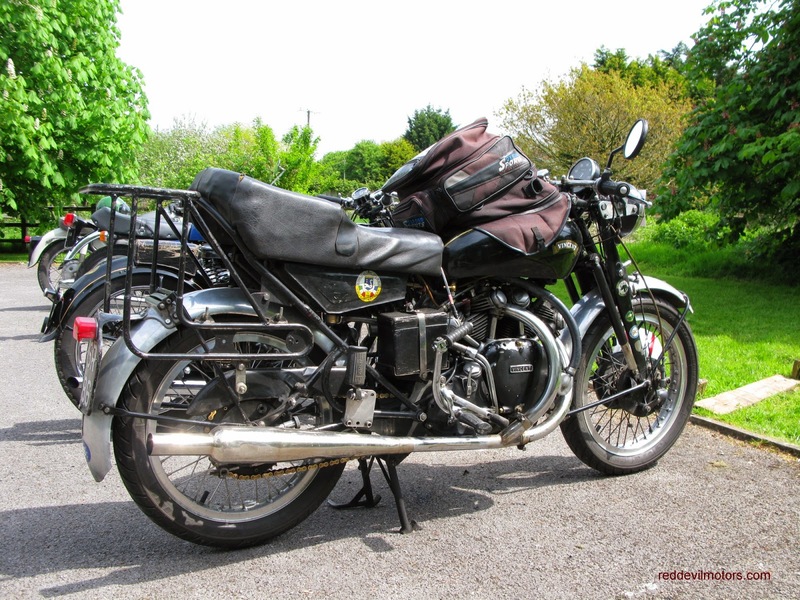 Lovely used pre-war Velocette MAC ridden to the show. mods for regular comfortable use. Is that screen from a Ural? Plus massive tail pack, possibly for carrying a canine companion. Harley 45 ridden to the show. period black / silver number plate on it. a leaky shed can yield similar results. 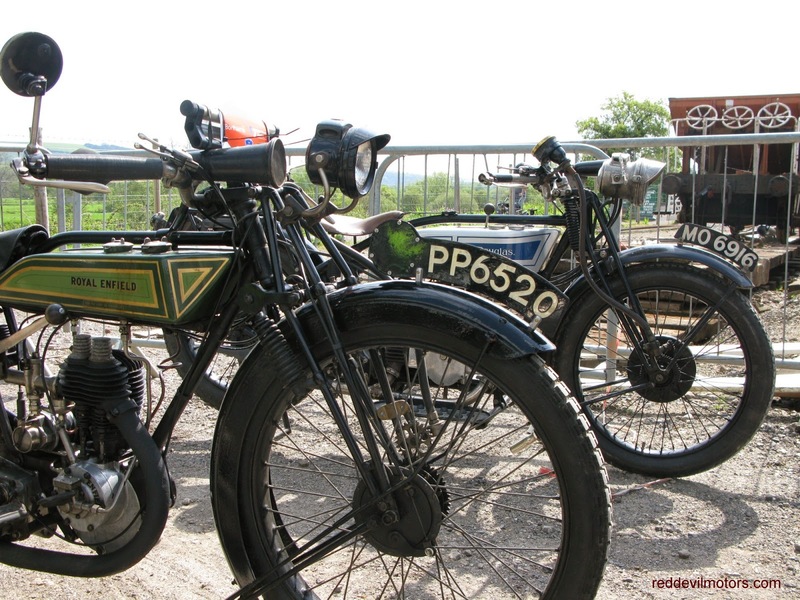 Some more snaps from Kempton, these of bikes exhibited in the show. 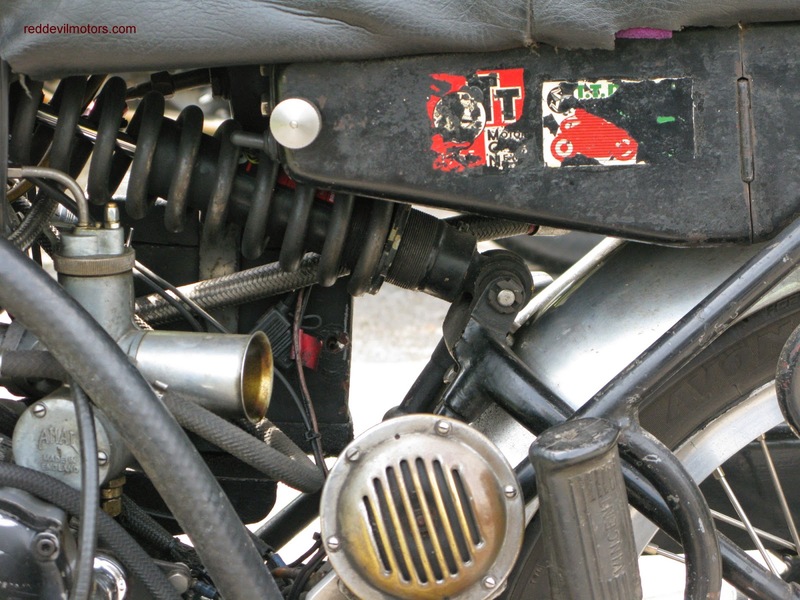 and rev counter cooling rings but they are works of art! hours went in to its build? in 2012, has since been repainted and is beautifully turned out. Acetylene headlight on the 1910 Royal Enfield. the model is an Atlanta. 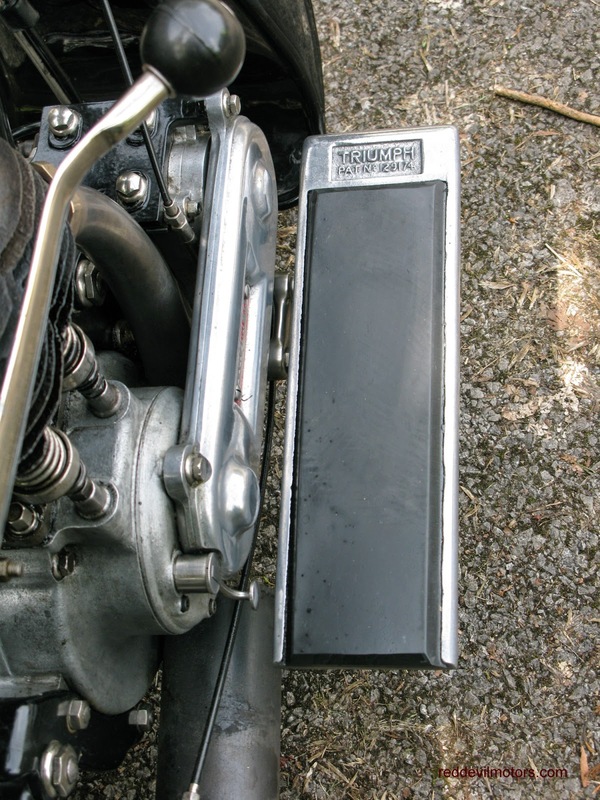 Norton featherbed framed special with supercharger. exhausts. What a racket it must make! Full view of the Rumi Junior race bike. thought out design and it looks nice and easy to work on. though as several key parts seem to have been refurbished. Note the spent shotgun cartridge used as a lever end protector. machinery. 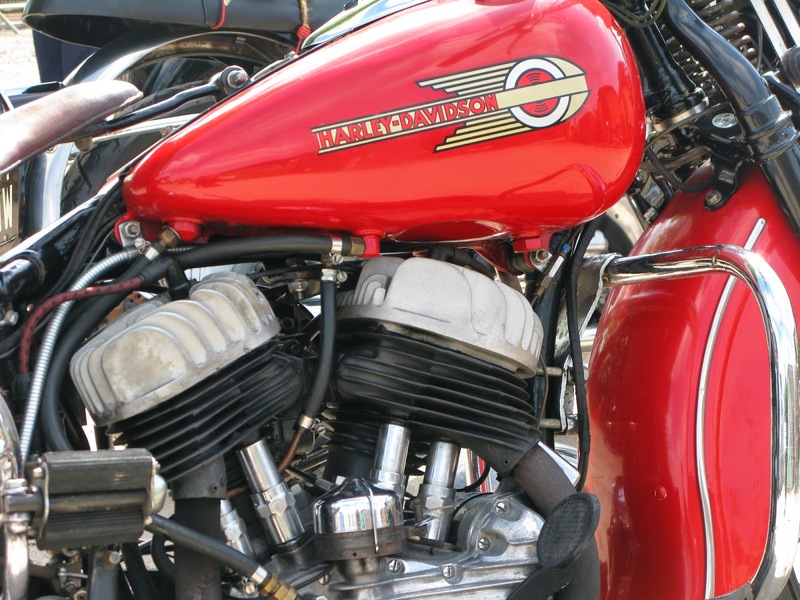 This JAP engined v-twin inspired envy in me! models in honour of the forthcoming D-Day commemorations. Five of them in total. I can't remember the last time I made the trek up to Kempton Park for the Southern Classic Bike Show and motoring up the M3 at stupid o'clock in the morning in the driving rain I questioned my sanity. As it turned out the rain stopped by 9.30, the sun even said hello once or twice and a fine time was had by all. 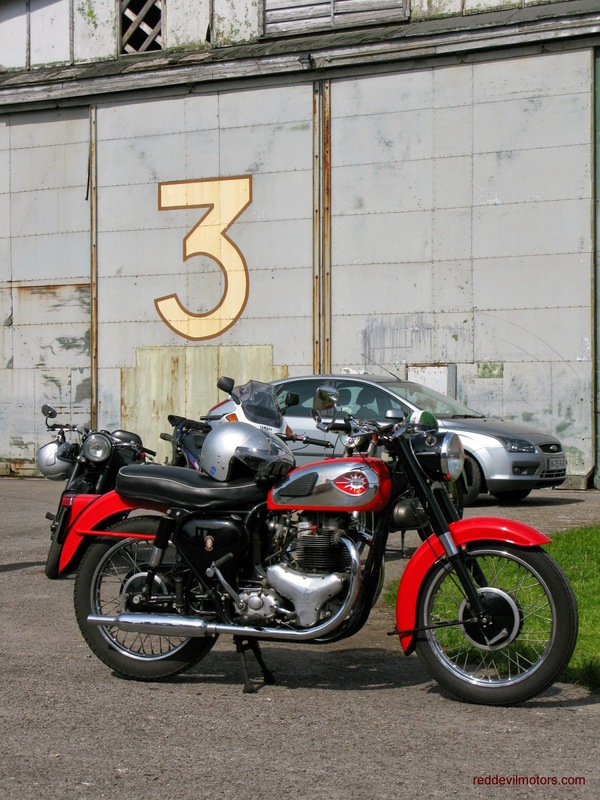 The autojumble was a vast as ever and the show hall was packed with interesting bikes and heaving with punters. This is the first of a couple of posts on the show and comprises snaps taken whilst mooching around the jumble. 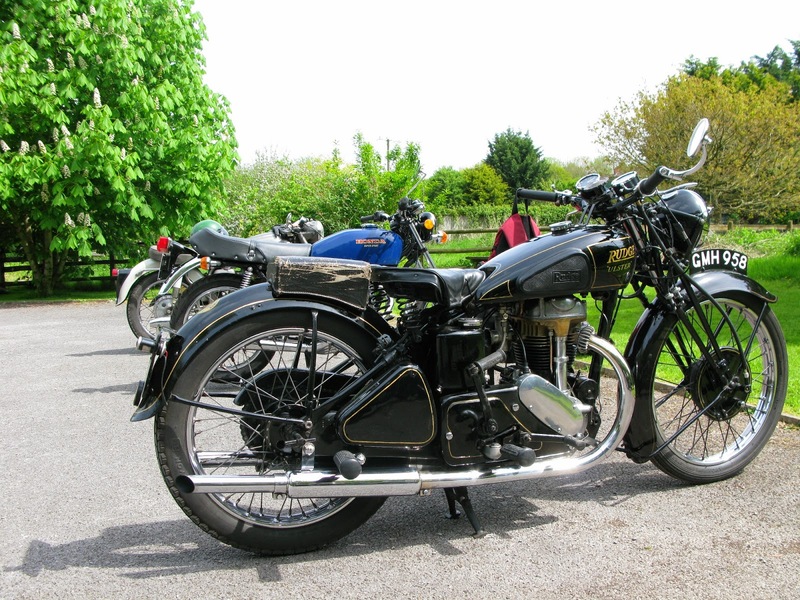 particular one is a 1932 100cc Grimault and seemed a bargain at £250. 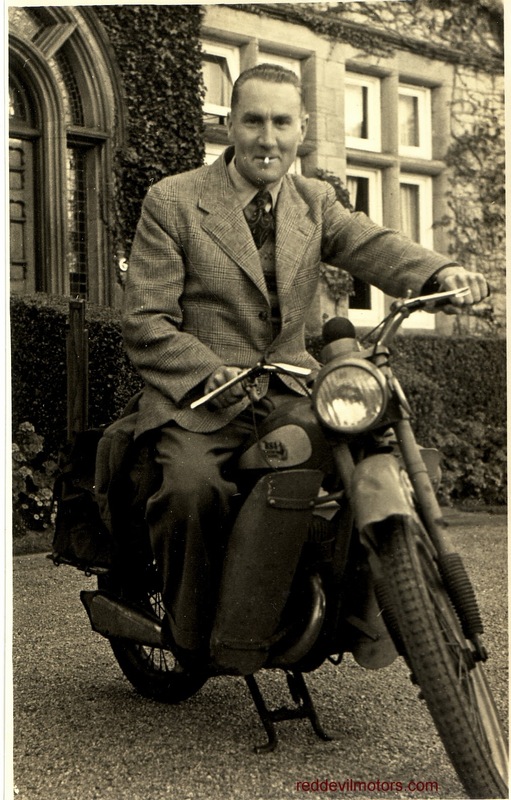 Another of the rash of French mopeds. This one a Favor. There's been a few Swallow Gadabouts come to light recently. by someone who knows better. was offered by a French seller. S8. It looked like it had been hitched up to a sidecar previously. If you look at this blog regularly you will know that I have a love / hate relationship with the Wall Autowheel and a fascination for all its weird and wonderful variants. 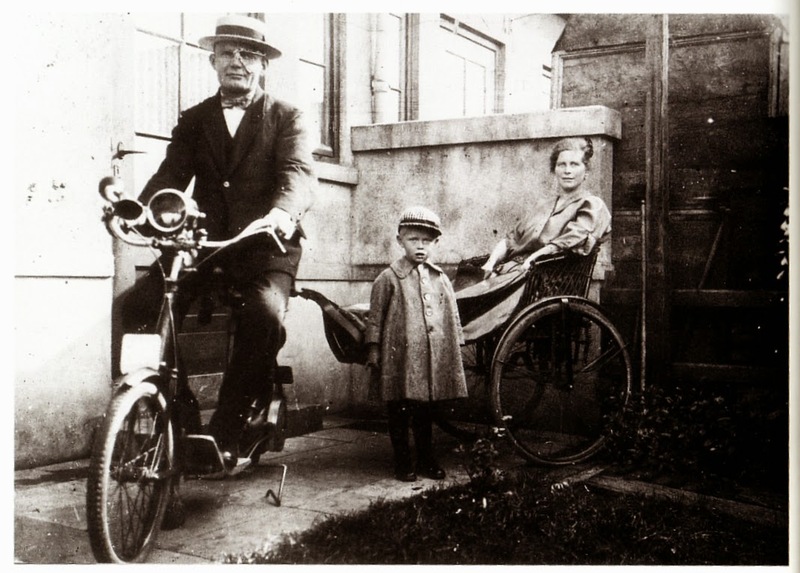 I've just come across a nice book in Dutch - 'De Motorfiets in Nederland 1895-1940' (ISBN 9061208661). 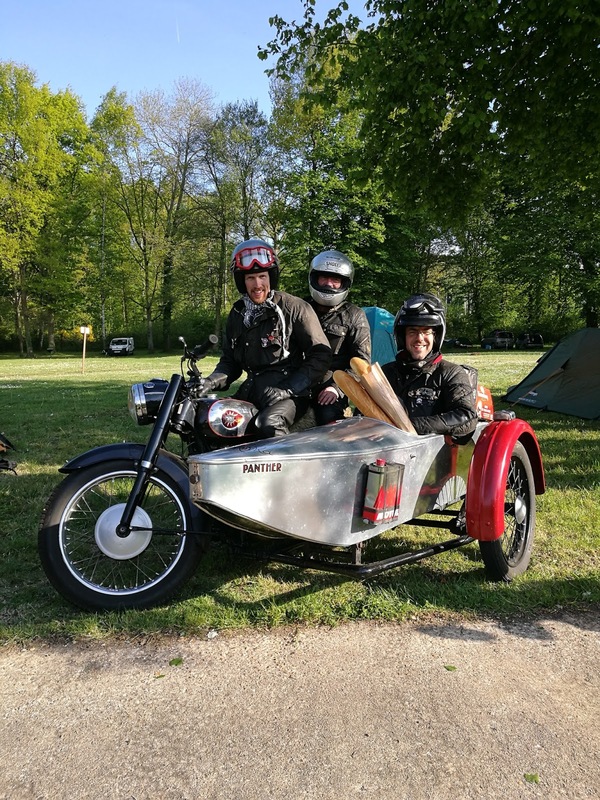 It's a collection of period photos published to commemorate 35 years of the Veteraan Motoren Club. 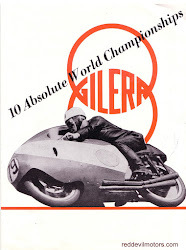 The book is out of print but if you come across a copy snap it up, the images are great. Briggs and Stratton Scooter with trailer. 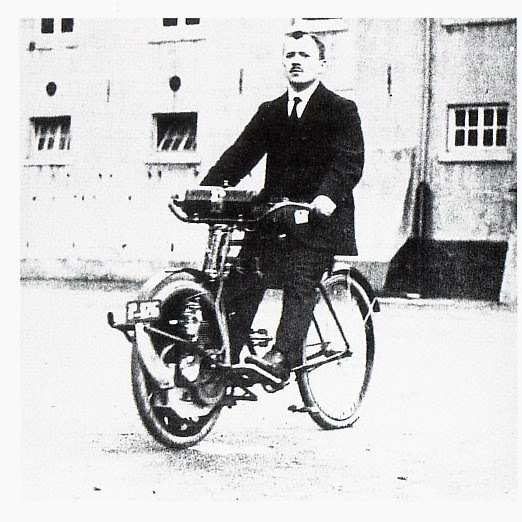 Lovely shot of a Scott two speeder. The registration plate is Scottish - Glasgow, what a pity it's not a Highland Terrier for the North of the borders grand slam. 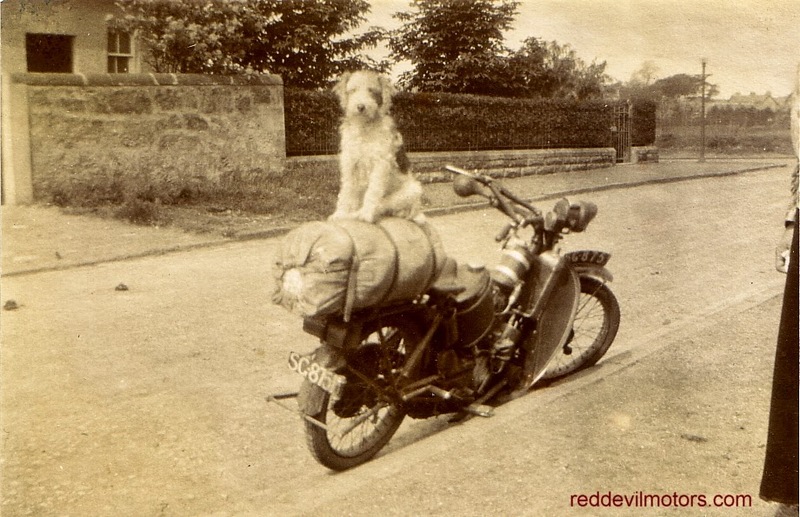 Looks like it is packed up to go further afield, wonder if the dog went along too! 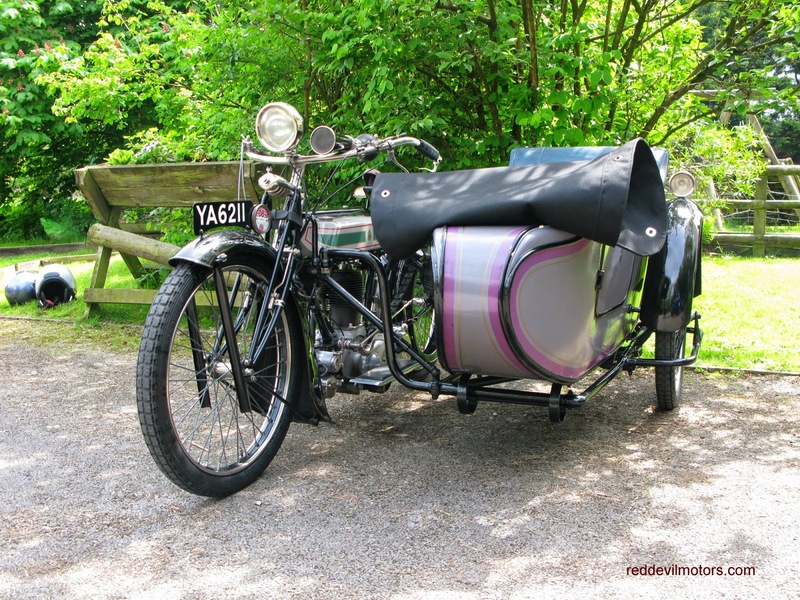 Early twenties Scott two speeder with furry pillion! 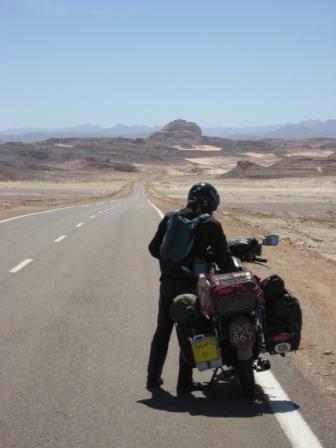 There's great joy to be had in the biennial Relay Rally riding your machine about on a route you choose at your own time, seeing other chaps about on the road doing the same and stopping for a tea and a natter at checkpoints. This year I decided to try and bag a grander than usual number of checkpoints, though down my way they are thinly spread and even given the fleet wings of the Dommi 99ss I only managed four. Namely Wessex Veteran & Vintage at Shillingstone Station, Dorset at Pulham, Somerset at Wookey and Stonehenge at Old Sarum Airfield. The company was good at each, the machinery varied and the routes in between pleasurable. Here are a few more that caught my eye on the day. 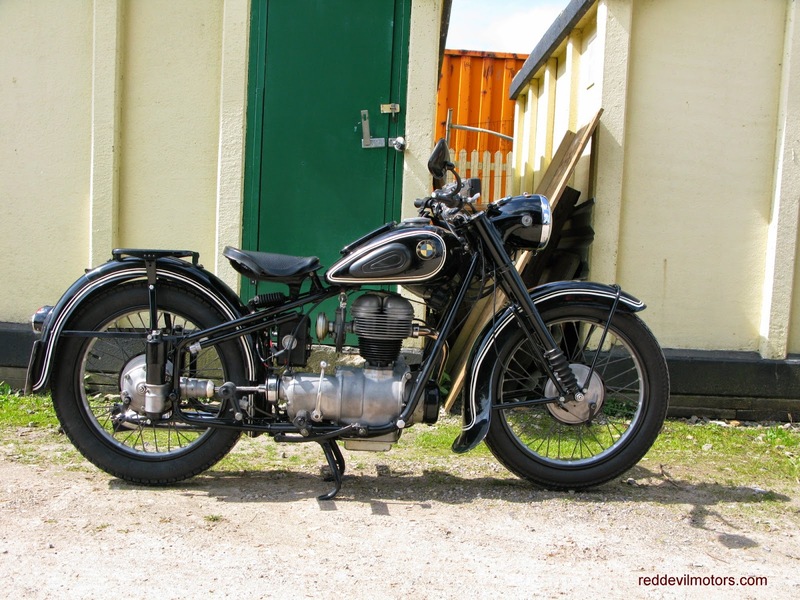 Very smart BMW R25/2 at Shillingstone. 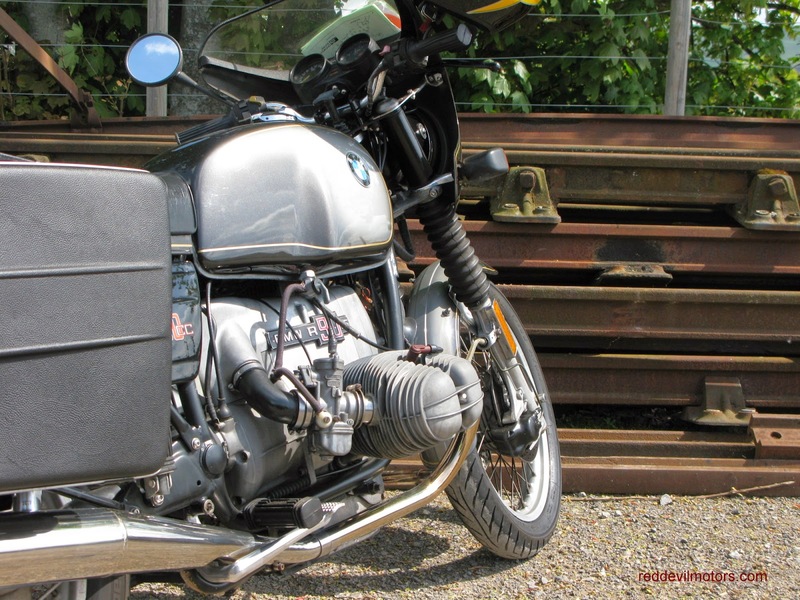 Another BMW, this one a R90s and also at Shillingstone. 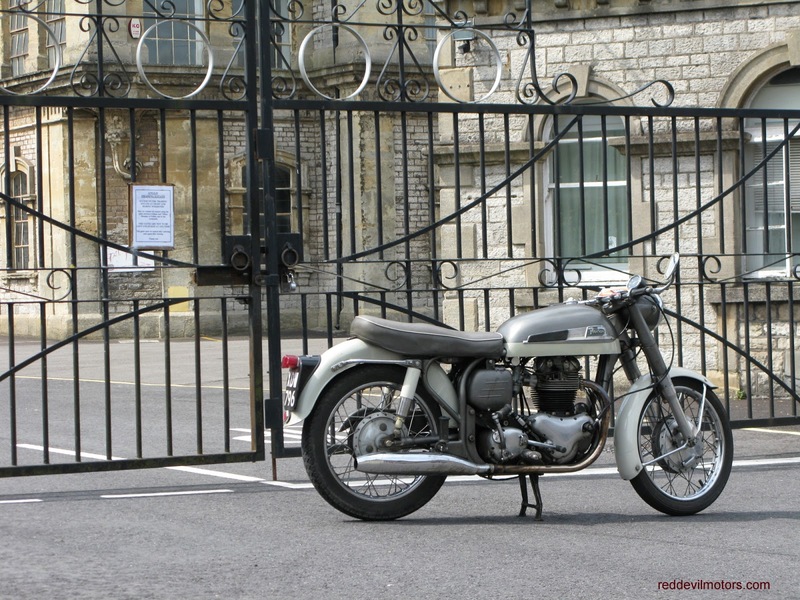 BSA A10 at Old Sarum Airfield. 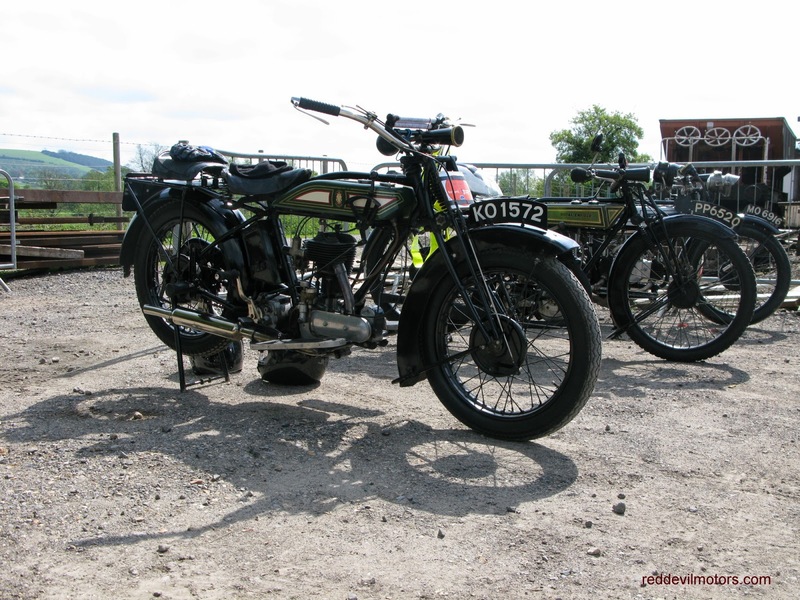 Royal Enfield 350 from 1926 and late twenties Douglas behind. 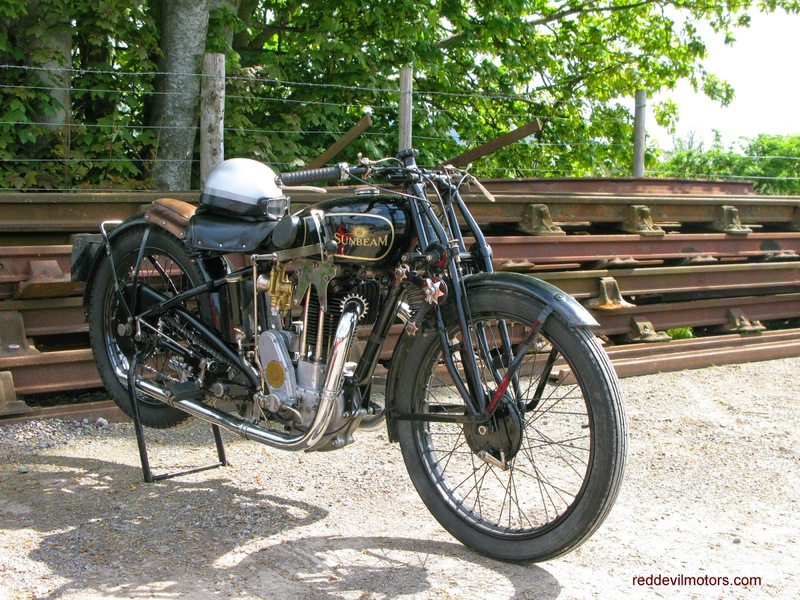 Stunning Sunbeam Model 90 from the late twenties. unrestored one caught my eye. Great period stickers show long service. 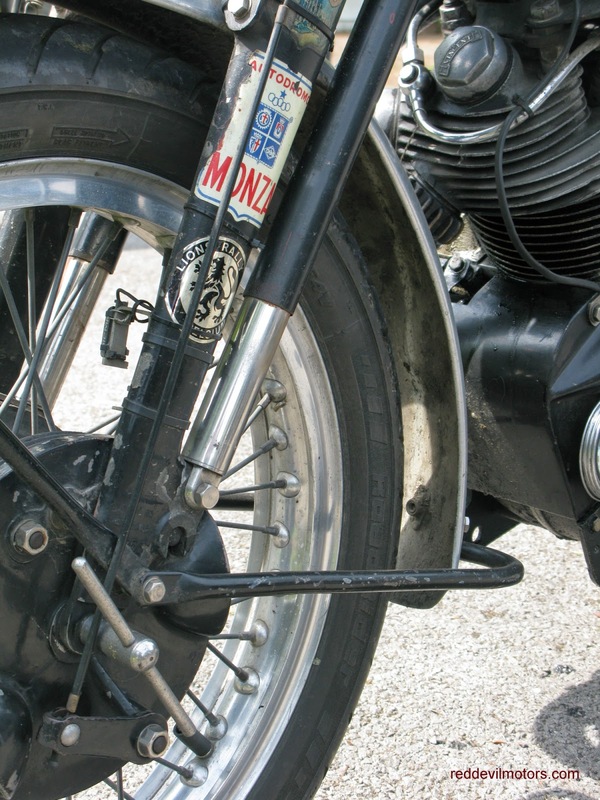 the front mudguard stays. Englarge the picture and take a look. voluminous guard and are completely original. Passing through Shepton Mallet you can't help but notice this impressive building. The sign up top names it as the 'Anglo Trading Estate'. I was passing through on the Norton Dommi riding the VMCC Relay Rally and it looked like a nice backdrop for a few snaps. 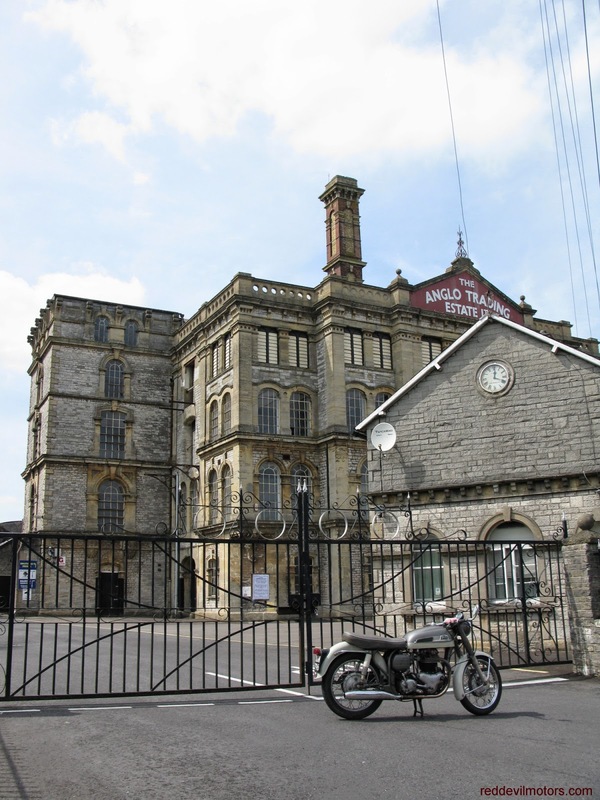 Shepton Mallet was once a thriving town and a regional focus of the Industrial Revolution. There were reputed to once be some fifty mills in the town. Shepton is still a regional centre though best known these days for cider brewing. On investigation the Anglo Trading Estate turns out to be the once home of the Anglo Bavarian Brewery, claimed to be the first lager brewers in the country. The bewery opened in 1864 and handed in the towel in 1921. At one time there were some 250 agents throughout England and the lager was sold across the Empire. Since closing down the brewery has been a furniture warehouse and is now a business park. The 'Bavarian' part of the title was dropped at the beginning of the Second World War. It is on the English Heritage buildings at risk register. Norton Dominator 99ss outside the Anglo Bavarian Brewery. Hayling Island and being spotted as far afield as Wells. Wells too. A big thanks to the owner who let me try it for size. 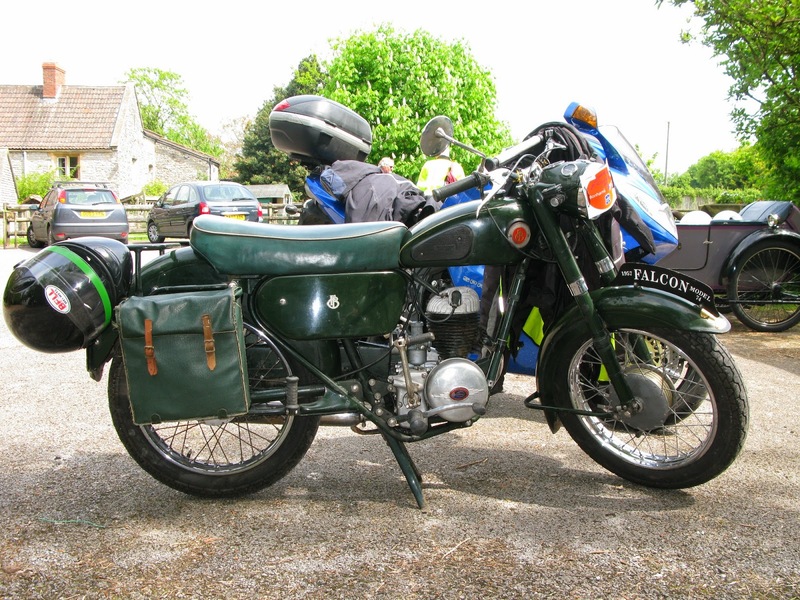 Very tidy Rudge Ulster at Wells. set up for long distance trials.